Comment is Free - but Only When We Agree! This is a guest post by Brian Robinson. It concerns a recent act of censorship by the Guardian’s Comment is Free. 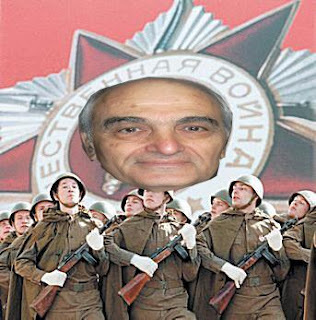 Ostensibly aimed at a comment Brian made on CIF in response to a comment on an article, a perfectly rational comment, its clear target is Emeritus Professor Moshe Machover of King’s College, London University. Not only is Moshe hated by a small group of anti-Semitic ‘supporters’ of the Palestinians such as Gilad Atzmon (see his Tribal Marxism for Dummies and my response Gilad Atzmon's attack on Judeo-Marxism and Israeli anti-Zionist Moshe Machover but but he is also detested by Zionism's propagandists, not least of whom is the Guardian’s senior columnist and leader writer, Jonathan Freedland. Freedland also doubles up as a regular columnist for the Jewish Chronicle, which today is little more than a Zionist propaganda sheet edited by Stephen Pollard, who used to earn his shilling working for Britain’s largest pornographer Richard Desmond, as editor of the Daily Express. Desmond's papers came closest to openly endorsing the fascist English Defence League, so Freedland is in good company. CIF has in recent years become narrower and narrower in the range of opinions it allows to be expressed and Marxist analyses of the Middle East are a no go area. Freedland, who is the éminence grise behind this, is wedded to a ‘2 State solution’, which as he knows will never happen but is a useful ploy for depriving 3+ million Palestinians living under Occupation of any democratic or civil rights. The illusion, that it serves the quisling Palestinian Authority to maintain, is that they will one day attain a state. Thus justifying the operation of what amounts to a police state for the past 44 years in the West Bank. Not only will 2 states not happen, because a genuinely independent state alongside Israel is incompatible with the aims and purposes of Zionism, an expansionist settler-colonial movement incapable, like all such movements, of coming to terms with the indigenous people, but were such a creature to emerge, it would be a bastardised version of the South African Bantustans. Indeed compared to their South African equivalent (which the Guardian once argued should be diplomatically recognised!) it would be an open invitation to a transfer of Israel’s Arab population. Machover argues, not without reason, that one of the reasons for Netanyahu’s eagerness for a war on Iran is that it will provide the ideal cover for a transfer of the Palestinians over the Jordan. Whether he is correct or not, or whether a war will even happen, remains to be seen. But it is certainly a logical and respectable point of view which today is outside the narrow confines of Guardian liberalism. Comment is Free boasts on its masthead a saying from its most famous editor, C P Scott, who edited the paper for over half a century until 1929. Scott was also, like most of the ruling class at the time (he was a Liberal MP) a Zionist. His statement that ‘Comment is Free but Facts are Sacred.’ is honoured in the breach by CIF. It would appear that some facts are more sacred than others. But as we are discovering at home, when you scratch a liberal you find a conservative underneath. Freedland, who in the USA would be known as a Police State Democrat, has always been on the liberal right. Censorship of contrary opinions is second nature to these people, who support 'free speech for fascists' but oppose democratic debate that strays outside their 'liberal' borders. Time was when the Guardian’s coverage of the Middle East was second to none. When I grew up as a young Zionist, it was the only paper that dared to print the articles of an Arabist, the late and revered Michael Adams, for whom truth was always more important than impressing the Zionist lobby. Michael was the first British journalist to reveal the brutality and racism of Israel’s occupation of the West Bank having cut his teeth on opposition to the Suez War on the Manchester Guardian. Michael was fortunate to work for perhaps the greatest Guardian Editor in recent times, Alistair Hetherington. This was a time when the whole of the media was pro-Israel. The BBC's Michael Elkins couldn't contain his glee when Israel captured Jerusalem in 1967. We often forget how the debate has changed and how Israel's main supporters used to be on the Left not the Right and how the very idea that there was a contrary opinion to Zionist hasbara went unrecognised. Unfortunately New Labour has long since captured the Guardian and today, with a shrinking circulation, it is an echo of the past living in fear of the Internet. It and its sister paper, The Observer, which used to be separate, supported Blair's War on Iraq and to this day have refused to explain or apologise. The Manchester Guardian under Editor AP Wadsworth and Alistair Hetherington as Foreign Editor, defied the trend in 1956 and with The Observer, opposed Eden's war against Egypt for control of the Suez Canal, which Nasser had nationalised. A good article on this is from the increasingly silent and nominal editor of the Guardian, whose shoes Freedland aspires to fill, Alan Rusbridger Courage Under Fire celebrates past glories whilst surrendering to present day chauvinism. Rusbridger, who has had a distinguished career with coups such as the exposure of Jonathan Aitken as a liar and perjurer, increasingly has taken a back seat whilst mediocre talents and time servers like Freedland take over. Another great Guardian journalist, the equivalent of the Independent’s Robert Fisk, was David Hirst, who wrote the excellent book ‘Gun and the Olive Branch’ named after Yassir Arafat’s famous phrase and speeech to the United Nations. Today Hirst is confined to the odd Obituary but is otherwise marginalised in his retirement rather than having his talents and expertise used. I speak with a certain personal experience because when the Guardian set up its on-line blog, Comment is Free, I was one of a number of contributors, penning articles on anti-Semitism in the Palestine Solidarity movement, the misuse of the term ‘anti-Semitism’ by Zionist organisations and a picket of a Royal reception to Israel’s Jewish National Fund, an organisation which is one of the main architects of Israeli Apartheid and integrally involved in the ethnic cleansing of the Bedouin of the Negev. However the Zionists launched a major campaign against CIF, under another increasingly silent journalist, Georgina Henry. It was too open, too democratic. It dared say the things that they had spent years keeping under wraps. I was banned from posting or contributing articles because Matt Seaton, the Guardian’s bicycling correspondent, who had ludicrously become CIF editor despite being a political airhead, succumbed at once to this pressure from Zionist groups, who organised their own CIF Watch site to ‘monitor’ CIF. My offence was telling the truth. Daring to make comparisons between Israeli practices towards the Palestinians, such as barring Arabs from renting apartments, refusing to sell them land, demolishing their villages etc. etc. and those of the Nazi state pre-1941. It is well known that the religious orthodoxy in Israel is controlled by those that Orthodox scholar, Yeshayahu Leibowitz, Professor at the Hebrew University in Jerusalem, termed 'Judeo-Nazis'. People like Rabbi Dov Lior who openly proclaim that a Jewish fingernail is worth a thousand Palestinian lives. People like the former Sephardi Chief Rabbi Ovadia Yosef and his son Yaacov Yosef who openly argue that there is nothing wrong in killing Palestinian civilians, including children who will only grow up to be terrorists. Exactly the same arguments were used by the nazis to justify the murder of Jewish children but these fake 'liberals' prefer to turn a blind eye and more importantly to ensure that others do. I wrote to Becky Gardener, CIF Editor, and the Reader’s Editor, about the latest outrage by an unseen moderator but of course there has been no response. Previous articles on CIF include When isComment NOT Free? When Zionists are Offended! The latest petty act of censorship by the Guardian is by Brian Robinson below. "Iran is not Iraq or Syria. The Iranians have drawn lessons from those two events. They dispersed their nuclear facilities and buried them underground, making them more difficult to reach and destroy. Success is thus less assured. Instead of a quick, surgical strike, Israel will likely find itself in a long war of attrition against Iran and Shia Muslims everywhere. In the name of national pride and defending its Islamic revolution, Iran was willing to lose millions of people in a long war against Iraq through the 80s ..."
A long war of attrition ... The authors saw this as a very obvious reason why Israel should not start a war with Iran. But I recalled that there's another view, in the public domain, highly relevant, highly plausible, and one we certainly ought to be discussing. It is the view expressed both in print and in lectures and talks by Prof Emeritus Moshé Machover (see links to two of these versions below). And so I quickly wrote this below-the-line comment. "A war with Iran would present a golden opportunity for large-scale expulsion of Palestinians, precisely because (unlike the Iraq invasion of 2003) fighting would not be over too soon, and major protests and disturbances are likely to occur among the masses throughout the region, including the Palestinian Arabs under Israeli rule. What better way to pacify such disturbances than to 'expel many people' ..."
Well, hardly an hour had gone by before I received an email from a comrade to say "the Guardian moderator removed your comment. What did you expect?" What did I expect? Well, free speech, within the limits of decency and common respect, for one. A serious discussion on the merits or demerits of Machover's arguments for another. And most important of all, a point to add to the many others we have in campaigning against any invasion of Iran. I know that the Guardian has gone seriously downhill in the past couple of years (on a personal note I cancelled my regular subscription to it and gave it to the New Statesman for a year -- I'll see ...) but I couldn't see why the Guardian descended to censorship on a matter of legitimate debate. I must have been more naive than I'd thought. Are you able, and if able, willing, please, to explain to me the reason(s) as to why my comment (details below) was removed? 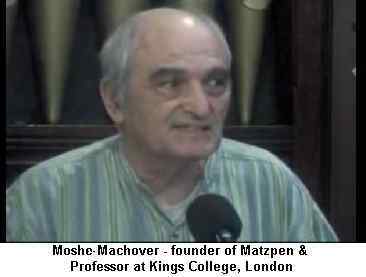 Prof Machover may be right or wrong, but he makes (in the article I cited) a valid contribution to the discussion. There is nothing in his article, or in the extracts I quoted, that could be construed as racist or antisemitic. Machover backs up his case with references, including those to statements made in the past by Israeli sources, and including comments by members of past Israeli governments. This is a first for me – I’ve never been modded by the Guardian before. I don’t know whether to feel proud or indignant. But I was certainly astonished. I do hope you can help me with an explanation. I appreciate that you must be busy and shall value it all the more if you can give some small amount of time to a clarification. I then copied and forwarded it to Becky Gardiner, who is editor of the Guardian Comment pages. Far too early (barely one day, and that on a weekend) to have got a reply but in the present age what have we got but hope, so I'm hoping ... I shall let you know. But meanwhile I can't help noting how much the Guardian has changed in recent years, and not only in its coverage of the middle east, since the days of Alastair Hetherington and Peter Preston. I even find myself musing upon whether it could have anything to do with the rise of that talented journalist Jonathan Freedland in the Guardian hierarchy. But I daresay it's merely coincidence. Tony, here's the link to the HOPI videos with Moshé's talk on the matter. I'm fairly certain that your friends at Engage do a bit of monitoring and flagging at Cif. I think they sometimes flag and the mods simply can't be bothered to figure out what the issue is. They find it easier to do what they're told. The pro-zionist tilt at Cif has been going on for a long time. My run in with the then Cif editor, Georgina Henry for my comments being deleted was over 5 years ago. I have no friends at Engage, Mark. I'm sure Tony is right in seeing this act of censorship as directed at Moshé Machover, but I do think that it *might* have something to do with the actual content of the words I quoted, and that could have been the case regardless of who had first written them. After all, the allegation (backed up, as I said, by a considerable amount of evidence) is shocking and extremely serious, namely that a modern nation state is planning, cynically, to launch a war that is not one of national survival and which could well set the entire middle east aflame, in order to carry out a longterm plan for the ethnic cleansing of several million people. To be as kind as possible to the Guardian, they might have feared the implications of spreading such an idea. In other words, it might not simply be a fear of upsetting the Zionist lobby, or a result of lobbyists phoning the Guardian, or anti-socialist, anti-Weekly Worker, anti-Machover animus. But certainly the Guardian should have allowed a free discussion of the issue. To be honest, in my naivety, I thought the G would take the opportunity (had they allowed the debate to open out) of commissioning Moshé to write an article for them on the matter. I now know how wrong I was. Having read the original article, watched the HOPI video, and heard Moshé in person deliver a lecture on it, I am convinced that he is right. Those of us campaigning against any war on Iran may want to consider adding this argument, with the evidence backing it, as part of our case. "I have no friends at Engage, Mark"
Apologies, Brian, I was wrong. I didn't realise you'd had another one of your turns. Let us know how you get on with the mods at Cif. All very sad but true. The downhill slide of The Guardian where comment became most decidedly not free, began quite a few years ago and has gotten worse over time. As a journalist I have absolutely no doubt that the instructions to 'censor' come from the top and given how trivial are some censored comments, the moderators must live in deep fear indeed. The Guardian has sold its soul and betrayed whatever integrity it might have had. I have had an interesting email discussion with the CiF editor. "A reader" had reported my post as "hate speech", saying it was "profoundly anti-semitic". 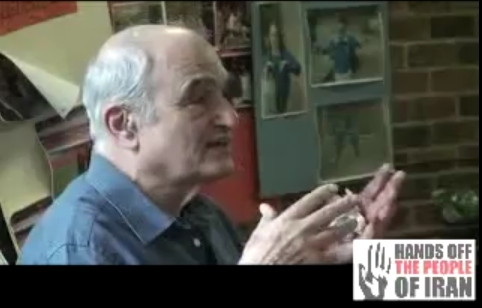 The moderator who dealt with the abuse report "was unaware of Moshé Machover's reputation. Had he been aware of it I doubt he would have deleted the comment." The moderator concerned "was worried by the lengthy but selective quoting from a piece that he didn't have time to fully engage with. He couldn't be sure that it was a fair representation of the piece itself. The argument as expressed in the comment posted was so truncated that it was difficult to gauge what the main thrust of it was. The moderator was concerned by the repetitive use of 'Zionist' and 'Zionism' which moderators know from experience is often used as an anti-semitic proxy for 'Jewish', although they fully understand that it can be used in a way that is completely legitimate. After some deliberation, the moderator concerned decided that the abuse report was warranted." The CiF editor noted that I have made 71 comments and have not been moderated before. She makes it clear that moderators work independently from editorial staff, that procedure being "one way in which we try to keep moderation as value-free as possible. It is their job to apply the community standards criteria even-handedly. In practice, this can be difficult." There is no "darker motive", moderators "are not experts in any one subject." They have to read "literally thousands" of comments every day on all sorts of topics and "have to make very difficult decisions very quickly." "[B]ut this leaps out at me: ‘A reader reported Brian's post as hate speech, saying that it was "profoundly anti-semitic".’ I could spend a good hour and several pages debunking this, but neither you nor I have the time to waste, and I’m sure you know the arguments as well as, probably better than, I do. But to get back to what I thought was the main issue here. I would really love to see a debate on this issue in the Guardian. But the allegation has been made and is in the public domain, along with a fair amount of evidence to back it up, and at the very least should be discussed, even if in the end to be rebutted (although as I also said, having read the articles, seen the HOPI video and familiarised myself with the evidence, I believe that Machover’s case is at the very least highly plausible"). The stakes could hardly be higher. We are discussing the prospect of yet another disastrous war in the middle east, and hopefully we’re also discussing how some of us might do our best to try to prevent it. The editor then replied, copied to Moshé himself. 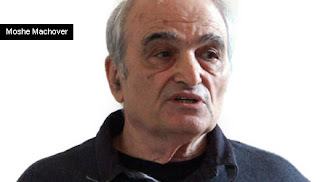 "I would like Moshe Machover to write for us, and would be delighted to discuss ideas he has - Moshe, could you get in touch if you are interested?" It would probably be wrong of me to try to speak for Moshé, and so I wont, beyond saying that he replied to the Guardian that he was interested. However he was, characteristically, very honest with them. He advised the editors to read the evidence cited (eg from the Jerusalem Post articles), and especially Martin van Creveld's article in the Sunday Telegraph of 28 April 2002. Tony, have you seen the latest Gaurdian journo? BTW, your recent post on Human Rights Groups' ulterior motives is outstanding. Great article you wrote. thanks Joe. Oh yes, I've seen it and when I get a spare moment I intend to cross post it and add a few comments of my own. Game set and match really. These people are what they used to call people like Hubert Humphrey and those who took the US to war in Vietnam 'police state democrats'. It would appear that the Guardian is inviting into its bosom some very unsavoury people. I'm away all today on a Centre outing but tonite I hope to pen something! And for everyone's benefit, Electronic Intifada is the best Palestinian blog by far and is thoroughly anti-racist and anti-imperialist. Tony, have you written to the Guardian about their hiring of Trevino? I have, but only got auto replies. Incredible -- The Guardian employing a man that openly calls for the murder of civilians. What next? Perhaps the Guardian could give Nick Griffin a job -- but even Nick Griffin never openly called for the killing of those he disagreed with. I too have been subject to energetic moderation almost every time I post something about Zionism. CIF seems keen to promote the concept of "humane,liberal,compassionate Zionism"
"I am a Zionist. Not an Israel right-or-wrong type of Zionist. Not a supporter of the settlement movement type of Zionist, and absolutely not a supporter of the shameful treatment of Palestinians type of Zionist." My take on this is simple: would Giles Fraser support a Palestinian Right of Return and would he support the necessary pressure on Israel to achieve that ? e.g. economic and cultural sanctions. I suspect the answer to both questions is "no". Why ? Because it would destroy Israel as a Jewish State. But what logically follows from this is that had all the Palestinians remained in 1948 an exclusively Jewish Israel would have been impossible and so THEY HAD TO GO. So any kind of Zionist (even Giles Fraser) is morally responsible for the Palestinian Refugee Camps. That is the truth that the Guardian wants to suppress. The Guardian is very important to World Zionism because it presents a friendly face of Zionism, Zionism that agonizes over the plight of the Palestinians and wants a just solution. In the meantime, as we know, the "nasty Zionists" create more and more facts on the ground and the "liberals" (Jonathan Freedland,Linda Grant etc) strongly oppose any meaningful pressure on Israel.